Heat oven to 375°F. Open can but do not unroll dough. 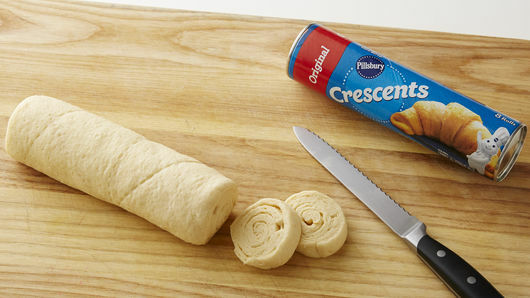 With serrated knife, cut dough roll into 12 even slices. Place slices on ungreased cookie sheet. 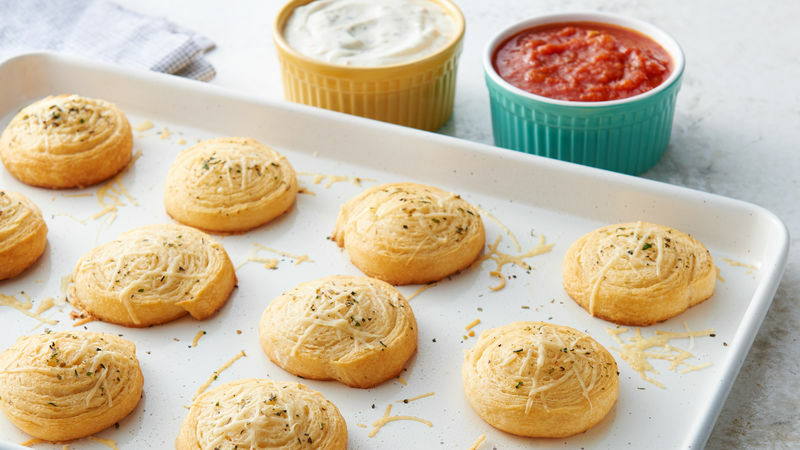 Brush tops with melted butter; sprinkle with Italian seasoning, garlic powder and Parmesan cheese. Bake 12 to 15 minutes or until golden brown. 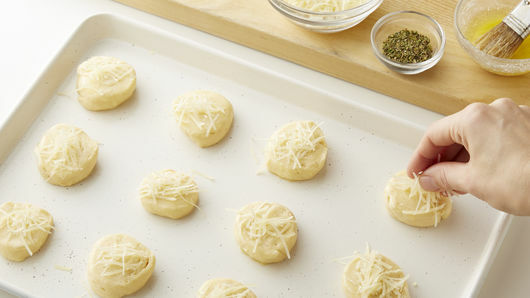 Immediately remove from cookie sheet. Serve warm. If serving with pasta sauce, heat the sauce before serving.